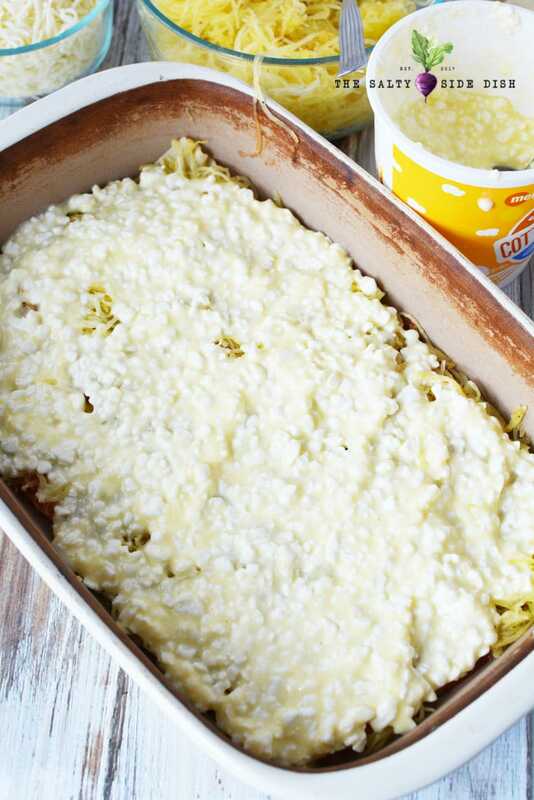 Spaghetti Squash Lasagna is a side dish that wants to be a main dish! 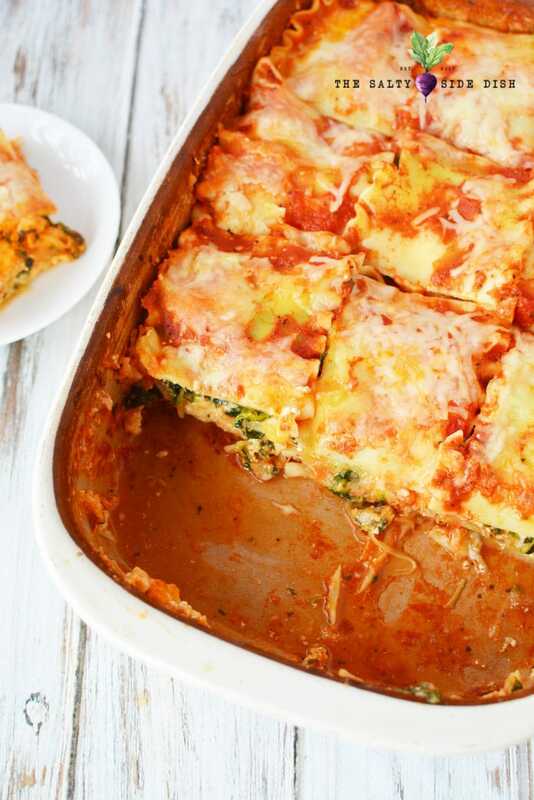 Enjoy this vegetarian friendly way to enjoy squash in the best way. You can put this beautiful pasta and veggie dish on the side of Chicken Parmesan or really just load up and eat it alone. 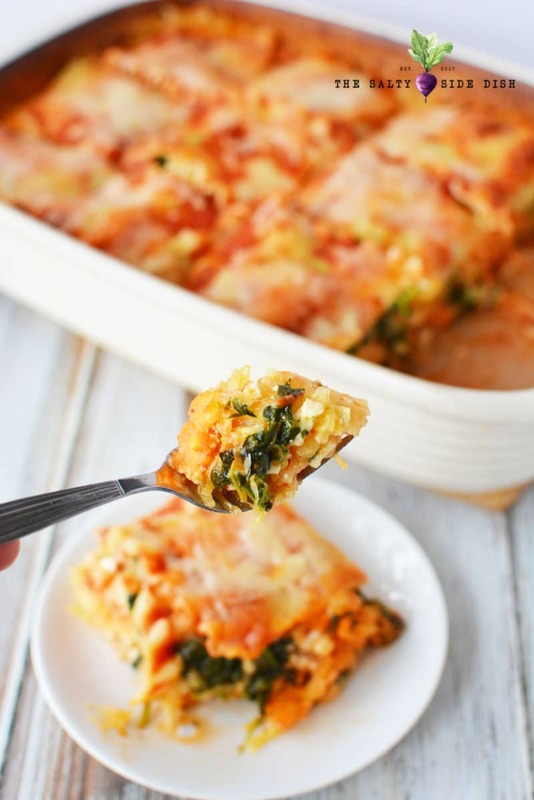 The more cheese the better, so feel free to really cheese up your squash into one of the best lasagna dishes you can eat! You might be surprised how good it really is and how little it needs the addition of beef or sausage to create a full fledged dish. This recipe is also a fantastic one for a crowd, so make up and throw along side some bread sticks for a power meal. If you love squash, make sure you try this hearty butternut squash soup recipe. 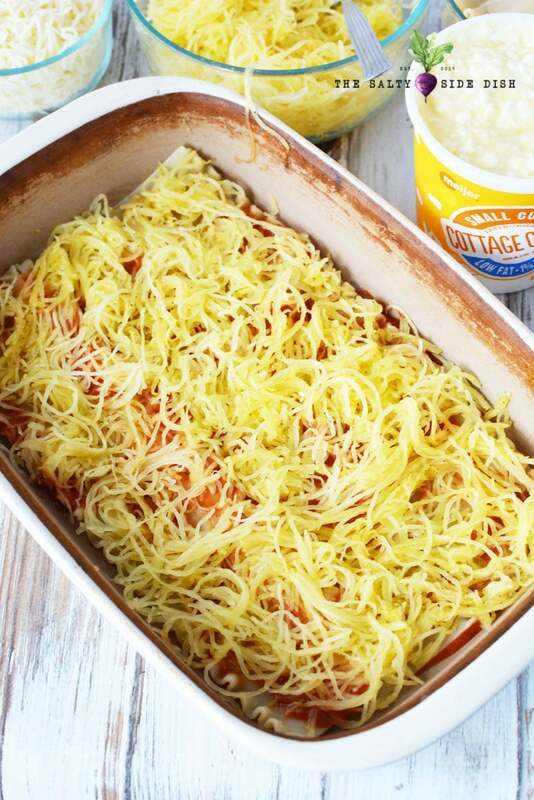 This spaghetti squash lasagna is really good. It’s clearly a meatless mix, but you could easily add some cooked chicken or cooked Italian sausage if you want to change it up more! I also really love spaghetti squash boats! Add 2 eggs to the container of cottage cheese and mix well. 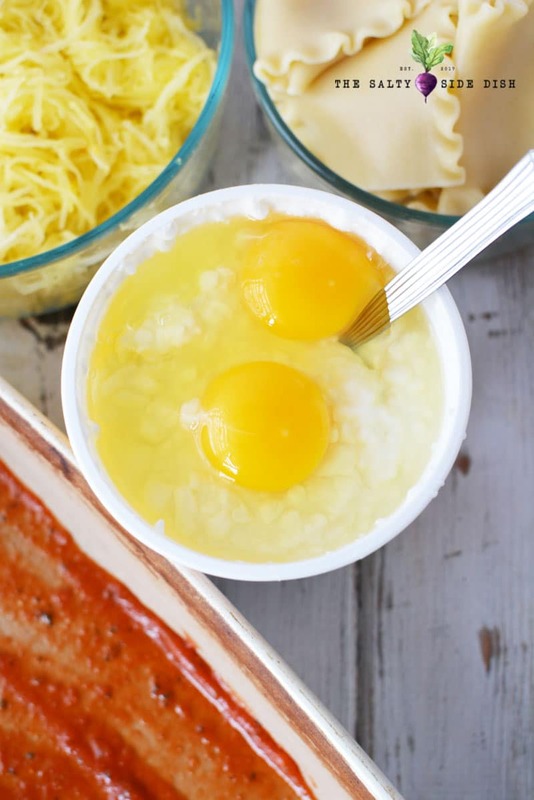 Alternately you can put the cottage cheese into a mixing bowl, add the eggs and mix well. I just prefer to dirty less dishes, don’t we all? 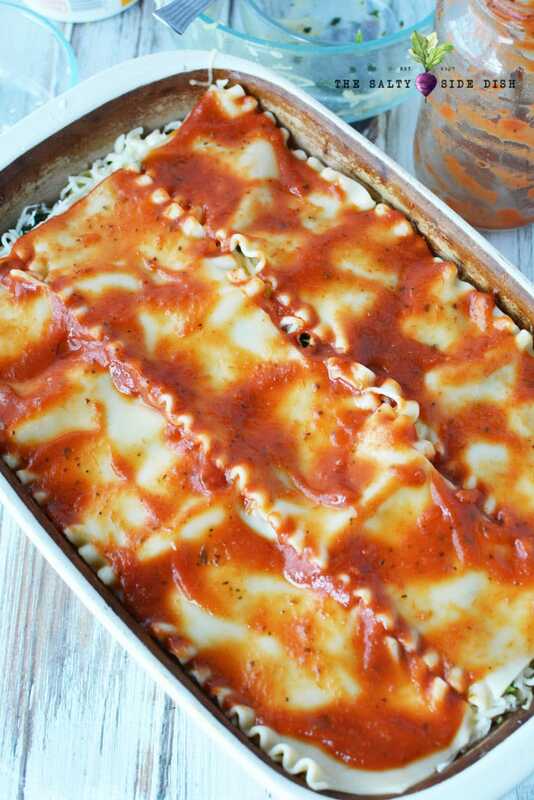 Place a small amount of pasta sauce in the bottom of a 9×13 baking pan . 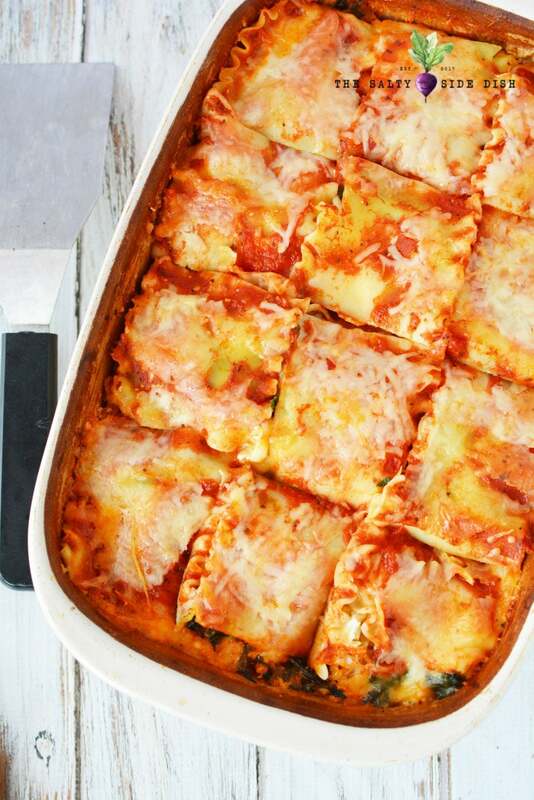 Place 3 lasagna noodles into the bottom of the pan. and half of the spinach. 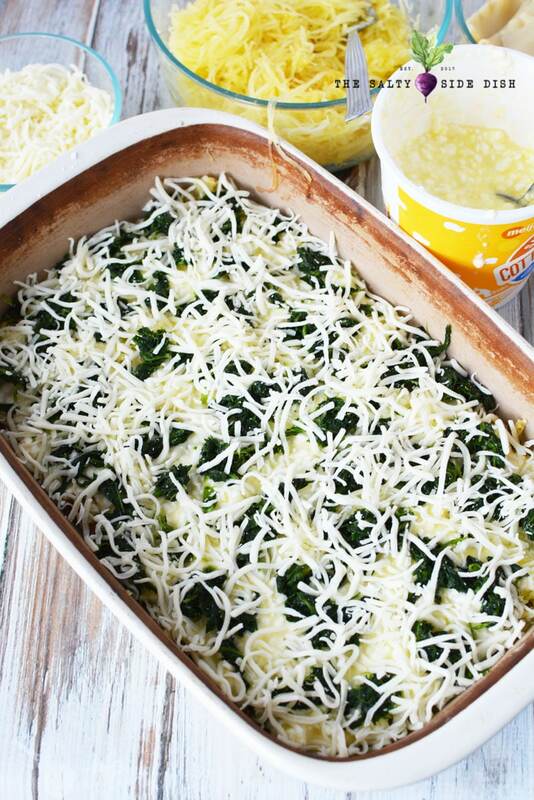 Top with a layer of cheese. 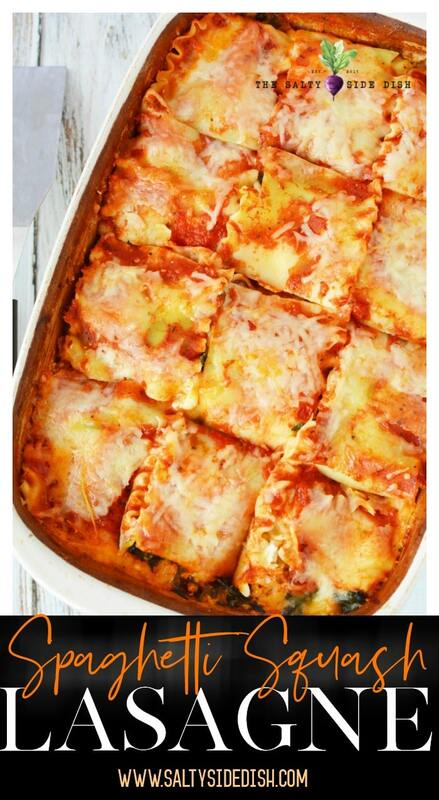 Once you have the second layer, add 3 lasagna noodles to the top, a layer of sauce and cheese. Cover tightly with aluminum foil and bake for 35-40 minutes. Remove foil and return to the oven for an additional 5-10 minutes or until cheese is melted on the top. 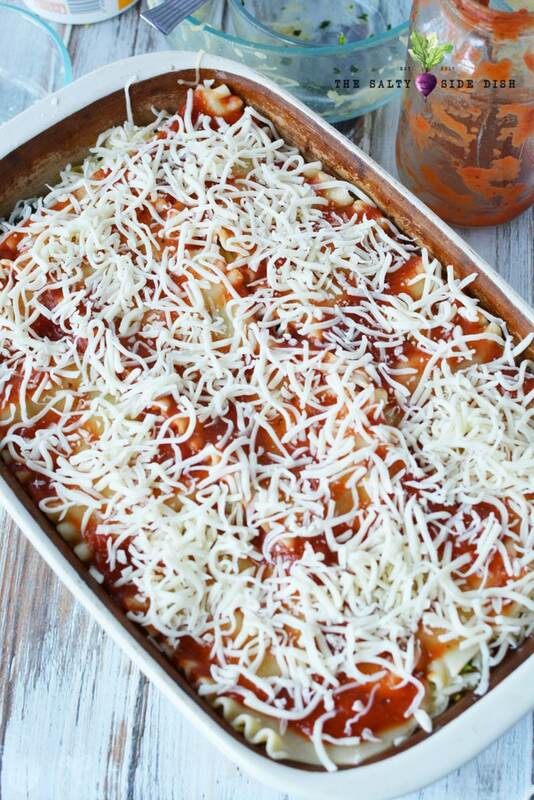 Place a small amount of pasta sauce in the bottom of a 9x13 baking pan. Place 3 lasagna noodles into the bottom of the pan. 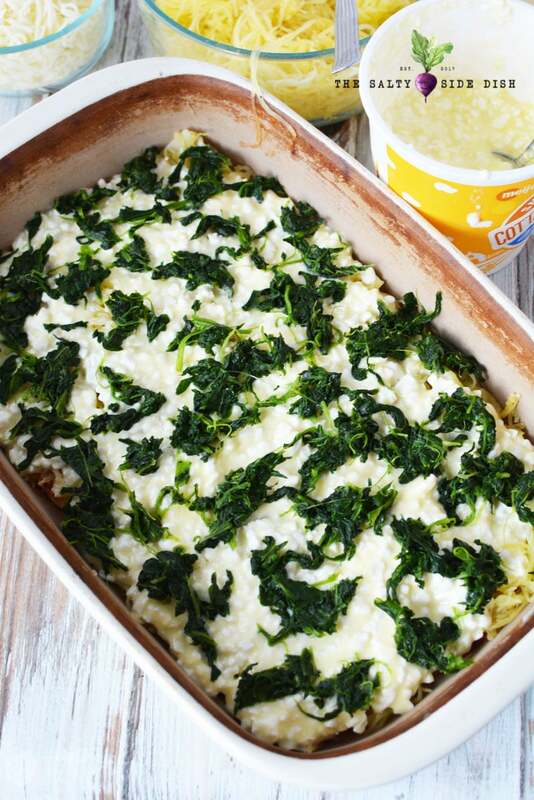 Top with a layer of sauce, half of the squash, half of the cottage cheese, and half of the spinach. Top with a layer of cheese. Repeat with a second layer. 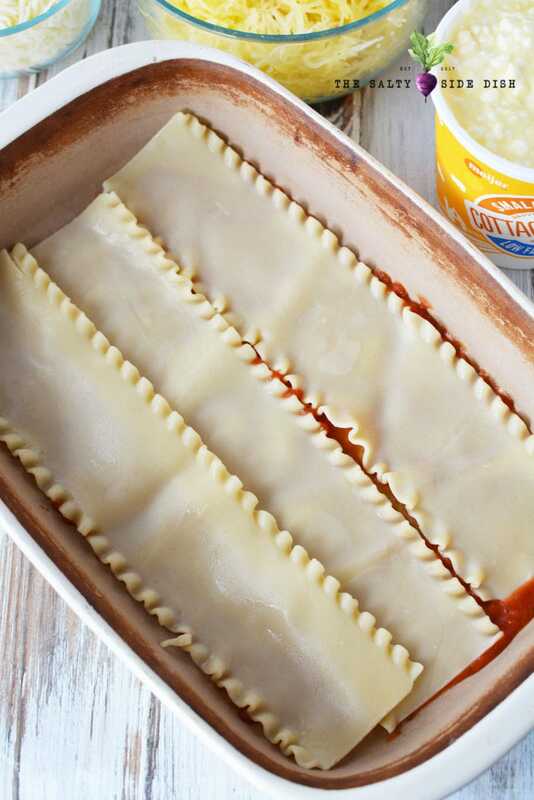 Once you have the second layer, add 3 lasagna noodles to the top, a layer of sauce and cheese. Prior to making this dish, you will need to cook your squash. 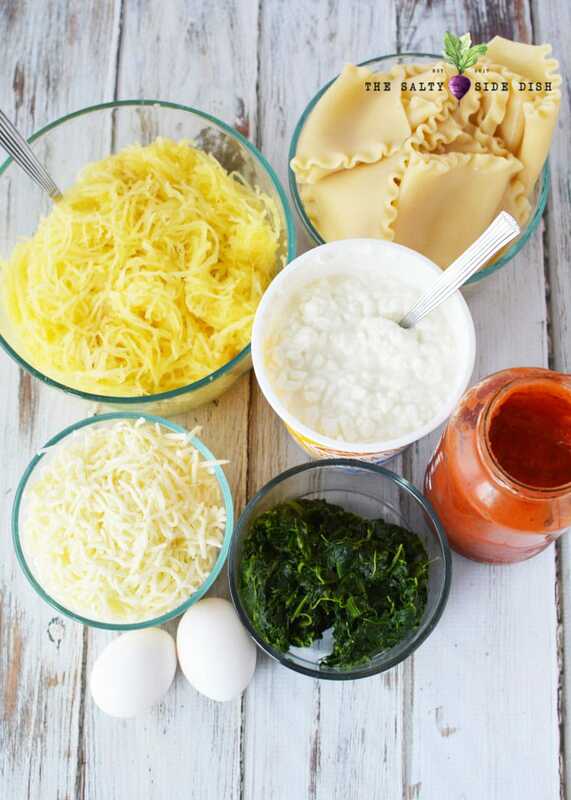 If you do not know how, make sure you click on How To Make Spaghetti Squash in the oven.